coParenting with a narcissist is tricky. Narcissists cannot empathize. Narcissists cannot acknowledge that their actions cause people pain. Narcissists need to control people and situations. Narcissists cannot make plans and stick to them easily. Narcissists are not good team players. So how do you coParent with someone who cannot make plans and stick to them, does not understand how his or her actions cause others pain, and cannot be part of the coParent team? 1. Live your life with the understanding that you’ll always have to have a Plan B when engaging with a narcissist. Working in tandem with them will keep you insecure, on edge, and generally out of control with each event: Picking the children up from your house or school, dropping the children off at your house, having them commit to the activities that they promised the children, showing up at the parent-teacher conferences on time, anything in which engagement is necessary. Accept that it will probably never change, and do not talk about the concept of “fairness” because a narcissist doesn’t understand “fair”. Understanding the concept of “fair” would mean that a narcissist has empathy, which is absent in a narcissist. Narcissists don’t ask to be born that way; this condition is as much of a hindrance to their lives as it is to yours. 3. Set firm boundaries with respect to what you will adjust if the narcissist is late to pick up the kids, and late returning them. Provide a deadline to pick up the children, and from that point forward move on with another activity, and just don’t answer the door. There is an amazing man named Bill Eddy, Esq., LCSW, mediator, and author of many books regarding divorce and people with personality disorders. I highly recommend reading his books because he addresses narcissism and other personality disorders with ways in which to interact. Reading his books will change and enhance your life. Bill has a method for successful engagement with narcissists that he calls BIFF: Brief, Informative, Firm and Friendly. Bill suggests that when speaking to a narcissist be brief in what you want to communicate (“the children will be ready at x o’clock for you to pick them up”); be informative about your parameters (“if you are not able to pick the children up by x o’clock, please call to see if a later time will work for them and for me before the visitation time has to be cancelled”); be firm in your position (“I and the children are not able to be as flexible as you might require”); and be friendly in your tone of voice and language. Always smile when you talk to a narcissist, and keep your tone of voice without anger or judgment. Being friendly is extremely important when dealing with a narcissist. You can’t control a narcissist but you can control your attitude. A causal, low-key, positive attitude is your best defense because the narcissist can only get mad at the fact that he/she is being provided a framework in which to act, and not an attitude that is in and of itself a point of argument. Plus, the message that you’ll deliver to the narcissist will be delivered with warmth; totally disarming the narcissist. A narcissist is used to be people getting angry at him/her, not a message delivered with kindness. 4. Explain to the children how a narcissist functions, and ask them not to blame the other parent. Explain that people don’t ask to be born with personality disorders – which is what narcissism is. But show them how to set boundaries with that parent so that they stay in control of their emotions, their time, and their commitment to other people and planned activities. 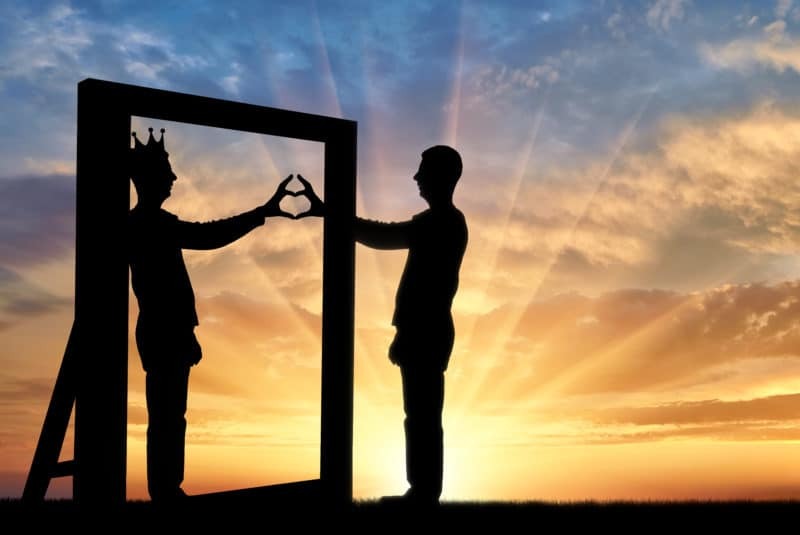 Is My Ex a Narcissist or Just Difficult?